The muscles connected to her back and ribs tightened and relaxed, rotating the bones that gave her the ability to soar the skies. The golden scales flexed smoothly and unhindered on top of the dragon's flesh as she flapped, following the instinct to catch another thermal to raise herself higher into the air. The golden she-dragon skimmed above the clouds, peering between the holes that betrayed her existence, though some may dismiss her as merely a mirage. Farms and towns soon became woods and lakes as she entered the wilderness - her home. The home she had since she was but a hatchling. Lifting her great head, she sighed, letting the wind brush about the horns that jutted from her head just above her sensitive ears, and felt them tingle, along with her nose-horns and the horns that protruded from her cheekbones. The ridges on her back and the spikes that created a deadly club on her tail did nothing but give her protection. However the horns on her face did more than that - they helped her sense magic. They tingled whenever a dragon, or a magical creature was nearby, and so they tingled now. A giant winged beast flew toward her and her heart gave that familiar lurch that one feels when a female (possibly also males, but she didn't know whether they had that same feeling too) feels strong affection toward another. A thing called love. That lurch was quickly rebuked however. 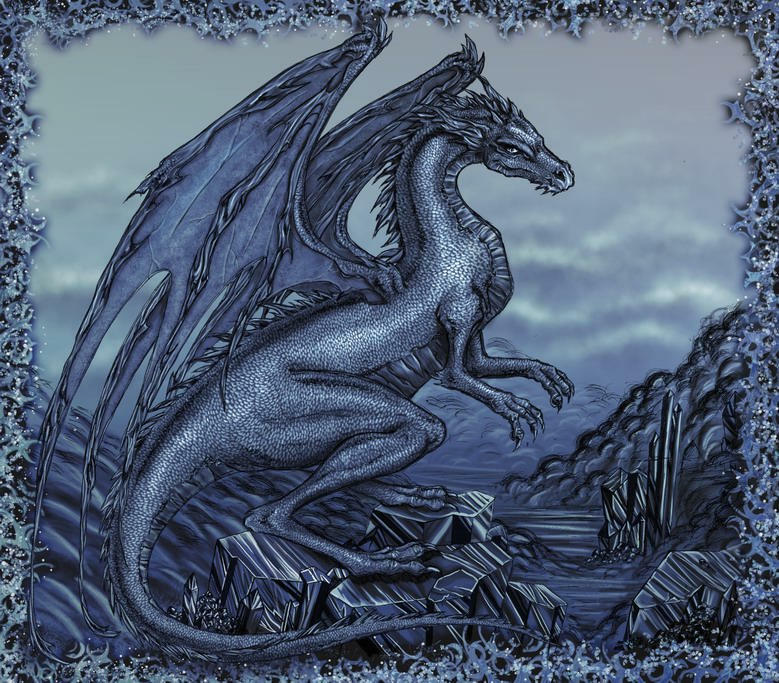 This beautiful silver dragon, with his majestic wingspan and sharp, bold horns, was taken. Taken by a shrewed white female. Sadness filled her heart as she reminded herself. She could not be his. This silver dragon was a very close friend of hers, they knew each other since they were hatchlings. The male hovered within speaking distance of Skysong, unaware of her depressed state. He smiled, making her heart flutter. A smile for her, and not for that wench, Cloudbreath. She smiled back to him. Greetings Driftblaze. she called to him, hiding her feeling deep inside. She must pretend as if nothing had happened. Driftblaze did not know of her affections, and it must stay that way. Once you have a mate...you were stuck for life. Skysong knew, she had one once. Before he died. Driftblaze grinned broader, his golden eyes meeting her blue ones. She fought to not look away, or gaze too longingly at him. She would not...she could not. If only she could love him! It tore her apart every day. Hey Skysong! Have you seen Cloudbreath? he queried, and Skysong blinked. Cloudbreath always told him where she was. What was going on? I haven't - oh, there she is. he looked up above Skysong, seeing a white wisp of dragon flying high, higher than most dragons could fly, Skysong and Driftblaze included. Her name said it for itself, she was a breath of Cloud, far up in the sky. A feeling of hatred and jealousy filled Skysong as Driftblaze's mate glided down from the heavens and smiled sweetly at the male, then glared pointedly at Skysong. The expression was obvious. He is mine, you cannot have him. That selfish little wench! She probably wondered why Driftblaze was talking to her. For heavens sakes, they were friends! She and Driftblaze knew each other long before Cloudbreath was in the picture. Cloudbreath gave one last glare at Skysong before coyly turning toward her mate. Sweetling, Oh that word make Skysong want to retch! Let's go home. Skysong knew when she was temporarily forgotten. With a nod of farewell to Driftblaze, she dipped down to gain momentum, and sped off away from the couple. You were asleep and I didn't want to... Cloudbreath's reply was taken by the wind as the golden dragon flew away. Dragons did not have tear ducts, but their throats tightened with a strong urge to cry out when one was upset. Her throat was clenched so tight that it was making it hard for the dragon to breathe. Slowly, however, as she flew away from Driftblaze and his mate, it opened up again, and she forced herself to forget about the conversation. Not really forget, but she shoved it into a dusty corner of her mind. Dwelling on things she could not change was unhealthy. Slowly she began her spiraling descent toward a choice cavern she called her home. It was in the center of the only mountain around. It was quite a random rock formation, but hey, it was home. Back-winging gracefully she landed with expert ease onto the rock that jutted out from the cave's entrance. It was a sizable cavern, large enough to comfortably fit five dragons in the main cavity that the entrance tunnel led to a few feet in. The "living room" then branched out to three tunnels. One led to her personal room, where she slept, the second led to a guest area that could house four dragons in three separate rooms, and the third led to an underground river. The familiar rush of the water comforted Skysong as she walked in, and flopped heavily in the main cavity, close to the tunnel that led to her small river. A pitiful whimper fell from her muzzle before she fell asleep. Comments and helpful hints are always welcome THROUGH PM! Skysong's eyes opened to a brightly lit cavern as the sun shown brightly from the entrance. She had slept for a whole day! Blinking away her shock she rose to her feet hurriedly. What had she missed? Trotting outside she gasped. Her valley was now riddled with smoke, fire lashing at the trees dangerously. Forest fire! The smoke had not yet risen to her cavern, and the wind was blowing the opposite direction. Lucky her, but what about Driftblaze? Leaping off of her porch and into the air she looked down at the destruction with sadness. This had been her home for three hundred years, and it was all gone. There was nothing she could do about it. Looking up she heard a roar, and noticed Cloudbreath was frantically flying toward her. Skysong's heart lurched. Where was Driftblaze? As the white dragoness spied her, Skysong lurched to a halt. Cloudbreath whimpered as she hovered there, and Skysong whipped her tail across her face, just as she had wanted to do for so many years. Control yourself! Where is your mate? Skysong demanded angrily. Cloudbreath looked stunned for a moment, then took a deep breath,seemingly grateful for the slap. Then she wailed, making Skysong cringe. Panic filled Skysong, and she and Cloudbreath soared swiftly toward their den, over the burning trees. The smoke made Skysong choke, and she could hear Cloudbreath coughing. None of the dragons that lived in this area were immune to fire like some dragons were. Fire was dangerous. Especially Cloudbreath's and Driftblaze's den, which was on the ground. When they landed, they couldn't see at all. The smoke was thicker than blood, and the fire was far too hot. Coughing, Skysong thrust herself into the den. Driftblaze! she called out, then was stopped by a fit of coughing. She continued calling his name, but could go no further. At last, she retreated back to the entrance. She shook her head sadly at the terrified, and coughing Cloudblaze. Keening, she flung herself into the fire. No! Skysong thought desperately, but yet another fit of coughing kept her from calling out to Cloudbreath. She could do nothing for them. Leaping into the air she flew away, and flew fast, as she struggled to catch her breath. She was leaving this place, this burning hell. There was no way she would go back to see if the two were dead or not. The female didn't think she could handle seeing Driftblaze dead. Not even Cloudbreath. Three days Skysong had traveled on the wing, refusing to rest or eat or drink. She was exhausted, she felt her muscles screaming in pain as she drifted lower and lower to the ground, darkened by the coming of night, for the sun had just dipped below the horizon. Before she knew it, she could feel the leaves of the treetops tickle her legs, and then her belly. The feeling of the leaves against her made her loose her focus on flying, and her entire body shut down in an instant. Falling to the earth, Skysong wasn't conscious to feel herself land upon the hard-packed earth, nor was she awake to see a great black figure rise to it's four feet, and rush to her aid. Opening her eyes, Skysong moaned, confused and unsure of what happened. Looking around, she noted she was in a cave, similar to hers. In fact, so similar that for a moment she thought it had been a dream. However, that moment vanished quickly as her entire body screamed at her for having flown that long without food, drink, or rest. Getting a better look at the cave as her eyes focused, she noted that it was a one-room cavern, with no tunnels like her old cave had. How had she gotten here? A shuffling in the shadows alerted the female to another presence. Her bright blue eyes turned to spy a black male, his green eyes glowing softly at her as he rose to his feet. Skysong attempted to do the same, however she could barely move. Immediately the male was at her side. Easy now, you had quite a fall. he said. His voice was filled with concern, and a slight frown was on his face. Skysong blinked again as he continued. You look like you haven't eaten in days. I brought you some food. There is a stream nearby but I don't think you can move well right now. What did you do to yourself? The scolding in his voice make Skysong chuckle. Looking cross, the male's frown turned into a scowl. Its not funny! he retorted with a slight growl. Peace, peace. I didn't mean anything like it. You just remind me of... she paused. The fresh pain of loosing Driftblaze struck her like a giant hammer to the soul. Of a friend. Turning her muzzle toward the meat, deer, from the looks of it, she dug in eagerly, without further invitation. The flesh of the corpse felt wonderful sliding down her throat and settling in her stomach. Once she ate her fill, pretty much all but a fourth left, she licked her lips and turned back toward the black male, who's scowl had been replaced by amusement. Suddenly, Skysong remembered she had no idea who this male was. I'm NightScythe. he answered before she could ask. You fell pretty much right on my front lawn. he said with a chuckle of his own. Skysong snorted. Where'd he get the sudden humor? Two and a half days. he answered with an over-dramatic sigh. I thought you were never going to wake up. Which was a pity because I'd like to know why you were half dead on my front door. he looked at her with a question in his eyes. The she-dragon scowled. Her history was none of his business! But then again...he did help her. And she was in his territory. The scowl faded, replaced with thoughtfulness. She'd best tell him. So, over the next few hours, she told him everything, from her fondness of Driftblaze and the jealousy of Cloudbreath to their regrettable deaths. NightScythe shook his head sadly. I truly am sorry. You are welcome to stay here as long as you wish. Skysong smiled. He truly was kind. But she only needed to have told him about why she landed here, not her whole love life too! Why had she told him the whole thing? She wasn't quite sure. It had just come out, like it had been natural to tell him. Truly, it felt better to have it out. Thank you. 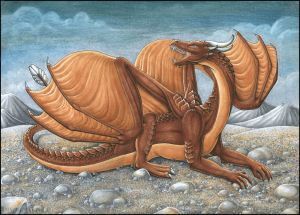 I'll stay here until I'm fully rested and healed, but I'd like to find the nearest dragon colony...I like being social. she said, with a slight nod. NightScythe grinned at her. Lucky you, that is only a few minutes' flight away from here. When you can fly again, I'll show you. he said, and began to walk outside of the cave. He looked over his shoulder. I am going out for a few hours. You get some rest, and I'll be here soon. he said, and without waiting for her consent, he flew off. Skysong grunted and curled up in a more comfortable position. What a strange male. He seemed like the good friend material. In fact, a best friend. She needed a friend, at a time like this. Without thinking further, she drifted back into sleep. When Skysong opened her eyes once more, she felt an immediate improvement in her whole body. Sure, she was still sore, but it was mostly bruises and pulled muscles, which she could handle. Rising to her feet she stumbled, and chuckled to herself. She was still a little weak. It was definitely an improvement, however. Flying still wasn't an option, she could tell just from the dull throbbing in her muscles. Limping her way out of the cave she inhaled the fresh air, and was immediately reminded of DriftBlaze and CloudBreath. The pain of loss stabbed her again, but she took a deep breath and made her way to the creek that was nearby. It was time to move on. Dipping her muzzle into the clear liquid, she drank eagerly, for her body needed water to recover the rest of her. Sleep and food helped her a great deal, as did relaying her past to NightScythe, however her body was dehydrated, and she wanted, and needed, that water. Speaking of NightScythe, where was he? Lifting her muzzle from the creek, she gazed into the sky. Nothing yet. Droplets of water dripped off of her chin, and she subconsciously lashed her tongue out to retrieve them as she continued to stare at the blue, cloudy sky. Ah, there was someone. A small dot in the sky marked a dragon, rapidly approaching. What caught her off guard was the second and third dots along with that first dot. As they neared, Skysong recognized black body of NightScythe, but the blue dragon and the blood red one she didn't recognize. Walking back to the cavern she waited at the entrance as the trio landed nearby. Smiling, NightScythe approached her, the other two behind him. She noted that the blue dragon was a female, and the red was a male. His friends, she guessed. It's good to see you moving around Skysong. These are my friends, this is WindPraise, he motioned to the blue dragon, who smiled pleasantly at her. And this is EtherBlood he motioned to the red, who bowed his head, eyes glittering as he watched Skysong. WindPraise stepped forward. It is a pleasure to meet another one of NightScythe's friends. I heard you were seeking a tribe to live with. she said, her friendly smile still on her face. Skysong couldn't help but return the friendly gesture. Like NightScythe, WindPraise seemed trustworthy. She just knew. Like the instinct to fly, she had the instinct of knowing whom to trust. Of course, she wasn't aware of that particular trait. Skysong replied to her. Yes, my old colony - um, tribe - was destroyed by fire. We are not immune to fire as many dragons are. she said, nodding to the horrified looks on the new dragons' faces. So, I look for a new one. It was EtherBlood who stepped forward this time to speak. We can take you there, it is not far from NightScythe's lair. His is the most distant from the rest of the tribe. EtherBlood chuckled, his golden eyes glittering in amusement as he glanced at the black dragon, who also grinned. For a tribe leader, he likes his space. Skysong gaped at NightScythe. Tribe leader?! She would never have guessed. Of course, he never told her, but she never asked either. In the midst of her surprise, all three dragons laughed at her expression. The golden female's shocked look melted quickly into amusement as she began to laugh along. She would start a new life here. So, Skysong Etherblood continued after everyone had recovered. What do you say about having a tour of our tribe lands? All three of Skysong's new friends looked at her eagerly, waiting an answer. Skysong smiled at them, and nodded. NightScythe whooped and WindPraise murmured her approval. EtherBlood just stood there and grinned at her. The expression in his eyes was strange. Skysong didn't recognize it, but it made her breath come short. However as soon as that look appeared it was gone, and all three had turned and was headed southerly. None of them flew - Skysong guessed that was her fault. Slightly guilty, she hurried up to catch up to them as thy walked through the forest. The forest seemed to go on for a long time. While they were walking, NightScythe and EtherBlood taunted each other about their awkwardness with walking on solid ground instead of flying, and WindPraise spoke to Skysong about the tribe. Their tribe was called the ScytheSky Tribe, named after NightScythe's great-great grandfather, obviously named ScytheSky. The Scythe part of the name was passed down through generations of tribe leaders. For example, NightScythe's great-grandfather was named RainScythe, his grandmother (the name is passed down to the oldest of the hatchlings) was named BrightScythe, and his father was named TalonScythe. There were thirteen tribe members in all, a very small tribe for such a large amount of land. NightScythe, EtherBlood, and WindPraise were three of them, making up three of the five Council members. The Council gathered together and discussed the tribe and how to improve and grow. EtherBlood was 'second-in-command', meaning that if NightScythe died without siring an heir, EtherBlood would take his place. WindPraise was their Chief adviser. Because they need a lady's opinion on matters. she said with a wink. NightScythe and EtherBlood were too busy teasing each other to notice. It surprised me to hear that they were brothers. Then again, it made perfect sense. They had the same bloodline, so it would be natural for EtherBlood to be second in line. So who are the other two Council members? Skysong asked at last, curious. WindPraise smiled slightly. A silver dragon named BrightClaw and a green named ArrowBlaze. They are the strangest couple I've yet to meet. They don't agree on anything, but I've never seen a love so strong between two dragons. WindPraise shook her head in amusement and Skysong forced a smile. That sounded like how DriftBlaze and CloudBreath once were. Before Skysong could ask anymore questions, the four dragons stepped out of the forest onto a rocky plateau. The plateu was completely barren of any life. Walking forward, Skysong frowned, puzzled. After a moment, the other three joined her and nudged her towards the end of the plateu, dropping at a ninety-degree angle towards the ground. Looking over the edge, she blinked with surprise, for there were ledges here and there on the cliff's side, leading into separate dens. Occasionally dragons would either take-off from the ledge after emerging from the den, or land upon it to go inside. It reminded her something of falcons, who lived on cliff-sides. There were few dens..... after all there were only thirteen dragons in the tribe. Skysong raised her head to look at the three with a slight frown. So how do I get down there? she asked them, flickering her wings with a grimace of pain. NightScythe shook his head. You don't need to. he said, and raised his head to the sky. Opening his muzzle he unleashed a great roar, powerful enough to hear for miles yet it wasn't threatening. It was more like a summoning call. A meeting! Skysong thought with horror and walked quickly away from the cliff's edge to avoid possible landing dragons. She was going to meet all of the dragons living here at once! Seeing the panic on her face, EtherBlood sidled up next to her, smiling reassuringly. Don't worry, everyone here is pretty nice, as far as dragons go. he promised, nudging her playfully. Feeling comforted, Skysong smiled in return and batted back at him. WindPraise noticed this exchange and smirked at EtherBlood, who only glared back. Confused by this silent communication, Skysong turned to gaze around the plateu again. Already there were seven dragons she did not recognize. A silver and a green dragon stood side-by-side, talking to NightScythe. They must be ArrowBlaze and BrightClaw Skysong thought to herself. The other five (a bright red, an orange, a white, a blue like WindPraise but with gray eyes, and a bronze) were talking amongst themselves, every once in a while a glance was thrown her way. Feeling nervous, she unconsiously edged closer to EtherBlood. He seemed not to notice, watching the cliff-side. Three dragons were landing there, all rather small males. They were identical, all three of them brown with glittering orange eyes. They took one glance at Skysong and immediately joined the group of non-council members. EtherBlood sighed. Those three might be the only ones who will give you trouble. They are the Fall brothers. They are triplets, and only they know which of them is which. Not even we know. One is called WindFall, another is SunFall, and the final is NightFall. All of us call them simply the Fall brothers. Troublemakers, all three of them. It was obvious that the dragons pretty much ignored the triplets and their antics. After a moment of bothering the other five, they came dancing towards NightScythe, one of them murmuring something in his ear. With a snarl, NightScythe shook his head at them, and stepped forward. Immediately the triplets shrank back and the small group got quiet. The influence NightScythe seemed to have over the others was awe-inspiring to Skysong. Friends I summon you here to give you exciting news. A friend of mine has decided to join our tribe. Friend. That was a nice word to hear from NightScythe, seeing as they only knew each other for a few days. Well, more on NightScythe's part...but she was unconsious. NightScythe nodded to her, and for a moment she hesitated, but EtherBlood nudged her gently forward, and so Skysong trotted to NightScythe's side. All eyes were on her, and suddenly Skysong realized she was the only golden dragon around. 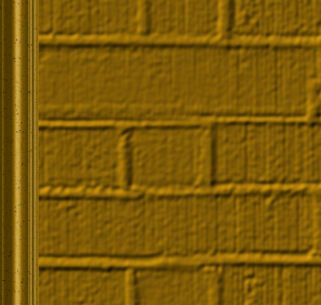 There wasn't even a yellow or a shade of it. Nervously she stood next to he tribe leader. This is Skysong. I want you all to treat her like one of us, because from this day forward, she is one of us. Most of the dragons nodded, except for the triplets, who were whispering to each other frantically, with matching smirks on their faces. Skysong had a bad feeling about those three. The green dragon, whom Skysong guessed was ArrowBlaze, stepped forward, his sea-green eyes glittering with welcome. I, ArrowBlaze, welcome you to the tribe Skysong. he said, and many dragons murmured their approval. The silver dragon next to him stepped forward as well. As do I Skysong, as BrightClaw of the Council. she said, and more approval was shown. NightScythe was very pleased, and he nodded. It is done then. Skysong, welcome to the ScytheSky Tribe. he said, and dismissed the meeting with a swish of his tail. It wasn't much longer after that until the five who had been gazing at her with curiosity had approached her, congratulating her on joining the tribe. They told her their names, and it was all Skysong could do to keep up with the names. 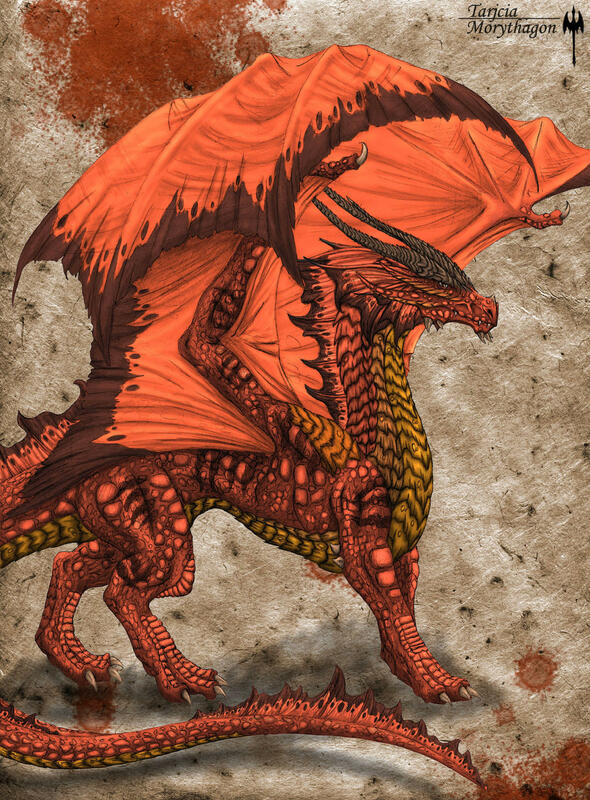 The bright red dragon was named RoyalDarkness, the orange was BloodMaze, the blue was MagicPool, the white was AngelMist, and the bronze was TornVision, but he liked being called Torn. They all prodded her about her past, and while she told them what she could, she realized that none of them really told her about themselves. By the end of the day, Skysong was exausted. Concerned, NightScythe bid everyone farewell and politely nudged them away from Skysong. Once they all had returned to their dens for the day, NightSong smiled slightly. The only two dragons who remained were WindPraise and EtherBlood. Time for you to go back to sleep. WindPraise said, and EtherBlood nodded. Both were eyeing Skysong with great concern in their eyes. Skysong rolled her eyes, she was fine, really! I'm fine, honest. Skysong said, but just after that she opened her mouth in a large yawn. EtherBlood snickered, earning a playful smack across his muzzle from NightScythe. Do you think you can make it back to my den? NightScythe asked Skysong. 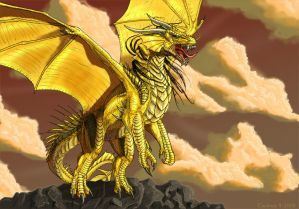 Nodding, the golden dragon werily trotted a few steps and then stopped, staring at the sky, then at her wings, then back at the sky once more. Puzzled, NightScythe and EtherBlood stared at her. Skysong noticed this and giggled. Screw the walking. she said and lept up into the sky, despite the complaining her muscles were giving her. Exchanging worried glances, NightScythe and Etherblood and WindPraise followed her all the way back to NightScythe's den. Skysong landed heavily on the porch, but she carried a smug look on her. Landing slightly behind her, NightScythe sighed. You know you could have hurt yourself. 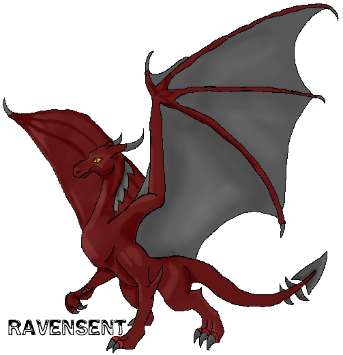 he growled, and Skysong snorted, turning around to face the still-hovering WindPraise and EtherBlood. Sadly Skysong realized that they probably wanted to go back to their dens. I guess I'll see you two tomarrow. she said, smiling at the thought. The two nodded, and WindPraise gave her a feirce grin. Since you were able to fly all the way back here, tomarrow we will show you your new den. the blue dragon promised her. SKysong returned the grin, and nodded to EtherBlood. Till tomorrow then. the blood red male said gruffly, nodding his head politely to the two. Wheeling around in the air, Skysong's two newest friends flew off for the night. You will see them tomorrow. a voice in the back of the golden dragon's head murmured comfortingly. Cheered by this thought, she turned around and headed back into NightScythe's den, flopping in a distant corner. NightScythe chuckled, making Skysong's attention focus from the day's events to the black dragon who lay on the opposite side of the room. You had quite a day. he commented simply, yawning as large as Skysong had earlier. Let's get some sleep. Without waiting for a response, the large male's head lowered onto his forpaws and his breathing slowed. Skysong soon followed suite, falling asleep with a smile on her face. The next morning Skysong and NightScythe flew to the plateau that the meeting had taken place on the day before. It was bright out, not a cloud in the sky, the sun low on the horizon. Etherblood and Windpraise had not arrived just yet. So Skysong turned to NightScythe, to ask a question that had been nagging at her since yesturday at the tribe meeting. Why do most of the dragons dislike the Fall brothers? Skysong blinked in surprise when pity crossed NightScythe's face. She had been hoping that the question wouldn't anger him too much, but pity for the brothers was the last thing she thought to see. 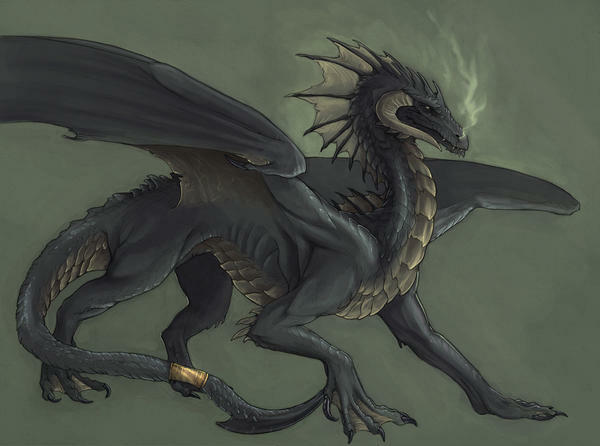 For a moment the black dragon was silent, but before Skysong thought he wasn't going to answer, he took a deep breath. The Fall brothers weren't raised by their original parents. Their mother and father abandoned them...for whatever reason. NightScythe shook his head, gazing out towards the horizon. Skysong waited patiently for him to continue, and soon was rewarded. When they realized this, they became bitter. Trouble seems to be the only way to distract them. In fact, they cause so much trouble it has been considered to kick them out of the tribe, but I will not allow it, because I know they are simply upset. NightScythe closed his eyes, and sighed. Skysong too felt a pang of pity. Poor, poor dragons. They are probably deeply hurt. Perhaps there would be a way to help them. Before she could think further on this plan, however, WindPraise and EtherBlood backwinged onto the rocky surface. They both smiled at her and NightScythe. Good morning! WindPraise greeted them as the two walked forward towards Skysong. EtherBlood trotted right up to NightScythe and batted him playfully. NightScythe teasingly snapped at him in reply before the red dragon trotted over to Skysong as well. Ready to see your new home? EtherBlood asked, excitement in his eyes. Skysong couldn't help grin in response. The male was so easy to like. Sure, lead the way. she replied to him, and WindPraise chortled. The three dragons hopped off of the side of the plateau, but NightScythe did not follow. Hovering just a few yards from the edge, Skysong stared at him. Aren't you coming? she called out to him. He shook his head and smiled, waving before taking off back towards his cavern. Confused and slightly saddened, she turned towards WindPraise, who smlied reassuringly. He is tribe leader, he has other things to do. she informed her. Skysong realized that WindPraise was right, and was satisfied. She glanced at EtherBlood, who was watching her carefully. Once he caught her eye he smiled warmly, and motioned for her to follow. Dipping slightly in the air to gain momentum, she followed the blue and red dragons as they lead her past the plateau caves where the tribe lived. On one side of the cliff was three caves, one slightly bigger than the other two. A fourth was lower on the cliffside, though no footprints showed that a dragon lived there. EtherBlood hovered just in front of these, while WindPraise landed in the one in the middle, laying on the porch smugly. These are the Council caverns. The one on the far left is mine, the center one is WindPraises (the one she's in front of), and the largest is for ArrowBlaze and BrightClaw. The one slightly lower than all of those is yours. EtherBlood looked over at Skysong, who had a pleased expression on her face. Satisfied, he drifted towards Skysong's new home. Glancing at WindPraise, she wondered if she would follow as well. The female was asleep. Unable to hide an amused grin, she landed on her new front porch. EtherBlood was already inside. The porch was large enough to confortably sit three dragons on it, and just as sturdy. When she poked her head inside the entrance, she only saw a tunnel. Curious, she followed the tunnel into the main room. Two tunnels branched from that, much like her old cavern. EtherBlood sat in the large area, big enough to fit seven dragons and still have room to be comfortable. The red dragon smirked at her shocked and happy face. The right tunnel leads to WindPraise's cavern, and the left leads to mine. he informed her. In case you ever need something. We were hoping we would find a dragon worthy of this home. Skysong was speechless. It had to be one of the best dens in the tribe. EtherBlood smiled slightly at her stunned silence. Do you like it? Oh EtherBlood, she felt an odd thrill run up her spine as she said his name, and it confused her. I love it! EtherBlood bobbed his head, satisfied, though he seemed a little off. More subdued that usual. Skysong tilted her head to one side, suddenly worried. Are you alright? she asked him. As if snapping from a trance, he looked at her. Yeah, yes I'm fine. he assured her. Assured, Skysong continued to look around her new home, observing every rock and stone. She heard EtherBlood shifting, and she turned around to see him laying down, watching her with unreadable eyes. The first few months passed without hazard. Skysong became strong once again and flew about the ScytheSky territories as if she'd lived there forever. Sometimes EtherBlood flew with her, sometimes WindPraise or one of the other dragons flew with her. NightScythe, however, remained unseen. This concerned Skysong greatly, and she confessed her worries to EtherBlood, who shook his head. Don't worry about NightScythe. He's a tribe leader, he is usually busy handling the trivial day-to-day issues amongst the dragons, most of the trouble caused either by the triplets...or by outside dragons. EtherBlood said as they drifted about the canyons. The ScytheSky tribe's home was mostly a large area of canyon, a large river at the very bottom rushing towards a waterfall. That was the edge of the territory to the south. If you crossed over the canyon's opening to the west side, you found more woods, and about 50 miles west the territory ended there. About 100 miles north was a lake, and the lake's center was the north end. The east side of the lands ended just past the creek by NightScythe's cave. I guess... Skysong replied, smiling a little. Of course he'd be busy. They banked towards her cave and she landed gracefully onto her landing rock outside of her home. She turned around to face EtherBlood, who was hovering there, a pained look on his face. Her eyes widened in concern. Are you alright EtherBlood? she asked, preparing to fly up to him. He bliked, snapping from some sort of a trance, and shook his head, smiling slightly. Skysong blinked, and gasped in surprise. Her cave was a mess, covered in deer blood and skin. Someone had defiled her cave! Rage filled her mind, and she snarled angrily, pushing the skins out of her cave and off of the ledge, growling as they fell into the river. Turning back around she began blowing flames on the blood all over the rocks in her home. The crystallized blood was easy to sweep out and soon her den was clean again The cleaning had also burned off her annoyance and anger, allowing herself to think clearly. Surely the triplets had been the culprits. Shaking her head werily, she curled up in her favorite spot in the cave, and closed her eyes. The anger wore her out, and soon she fell deep asleep. She didn't notice the three dark shapes enter her cave, nor did she feel them grab her and take her away.